Welcome, sweet little Gracie, 12 days new. <3 This little lady made me wait quite awhile to meet her since she was born well past her due date, but it was well worth it. 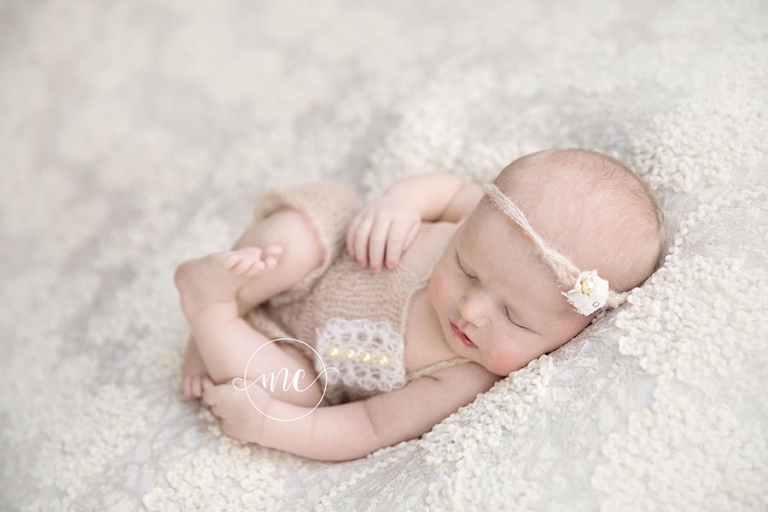 I say this all the time, but she was so good for her session….slept like a dream and gave me the best snuggles. Goodness, isn’t she divine?? 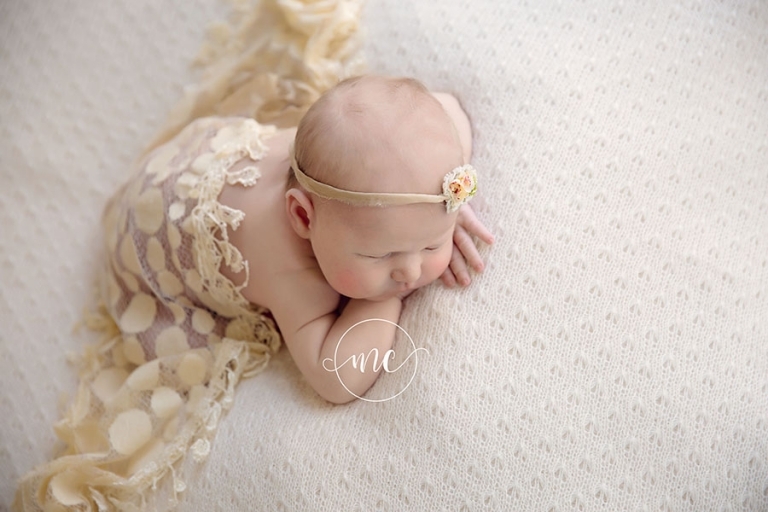 I love this backdrop from Roses and Ruffles and set from Tiny Blessings Boutique. It’s feminine and soft and neutral….yep, it’s all my favorite things in one. This bucket from Woodsy Wonders was perfect for Gracie’s session. Mom loves white with pops of red and birch trees. Check, check, and check. 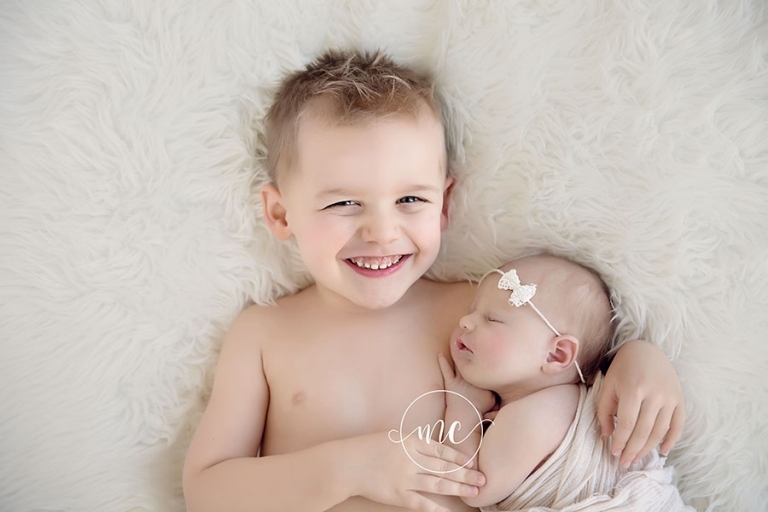 Big brother, Brayden was a little hesitant to hold his baby sister. And really, that was the most adorable, honest reaction a big brother could have. These little ones are little and do need special care, but we did convince him, and he did great! See? Not so hesitant after all. <3 Aren’t sibling photos just the sweetest?? It puts into perspective just how little the newborns are. Simply melts a momma’s heart! This pose is called the froggie- it’s adorable but always done as a composite (two photos put together to make one). Special thanks to Gracie’s mom for supporting her to get this one done. Safety is always first! This headband and wrap are from AR Backdrops. Bum up is always my favorite. I love this set from Petals and Plaid Children’s Boutique. 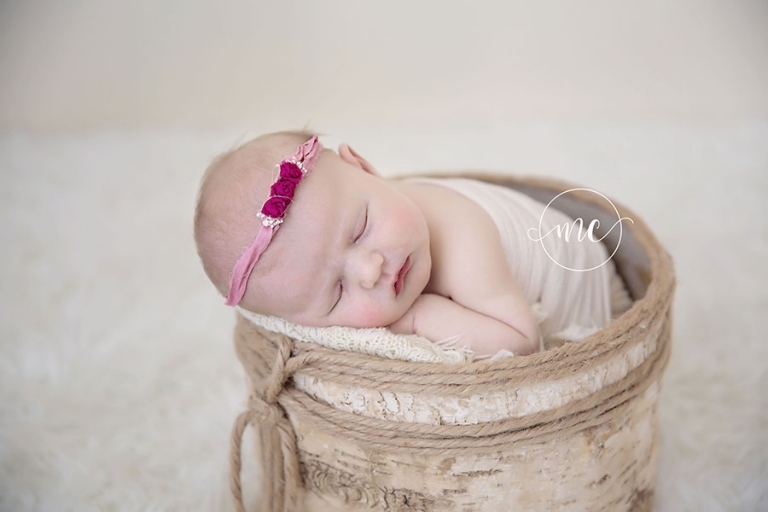 Gracie’s grandma gave her this bracelet for her first photoshoot. How adorable is that?? Thank you for taking the time to read my blog! If you are interested in scheduling a newborn session, please contact me at mary@marychristinephotography.com. Your comments and shares are always welcomed and appreciated!